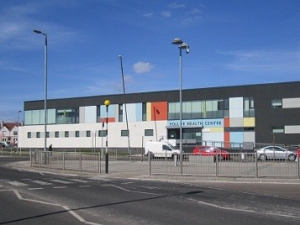 A new Civic Building acting as a hub building linking various areas such as the Health Centre. Incorporating a variety of uses including refurbished Leisure Centre with Pool, Café, Shops and Civic Spaces and a new Library. In addition to the full M&E installation for the Civic Realm Scheme works include replacement of existing pool area heating plant with new efficient systems to incorporate it within the Civic Realm Systems and reduce operational costs.